For the destinations listed above, an additional charge of €3 applies for orders of €15 and below. For the destinations listed above, an additional charge of €3 applies for orders of €15 and below. Please note that bulky goods and pallets cannot be shipped to European islands. We do deliver to countries other than those listed here - please get in touch with customer services. Shipments to countries or islands outside of the EU may be subject to the VAT and customs fees of the country of destination. For further information please contact your local customs office. Please note that all the prices stated in our shop are inclusive of VAT. We do not apply VAT to shipments outside of the EU. 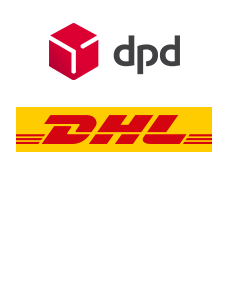 The parcel service provider may vary depending on the country. For detailed information do not hesitate to contact our customer service.